It is always nice to revisit work, to see how you’ve progressed and sometimes shudder as you think “Did I really think that was good?” But a bit of reflection is always good, as you see how your photographic style has matured and developed. Flicking through my back catalog of images, and I came across one of the classic (cliche?) 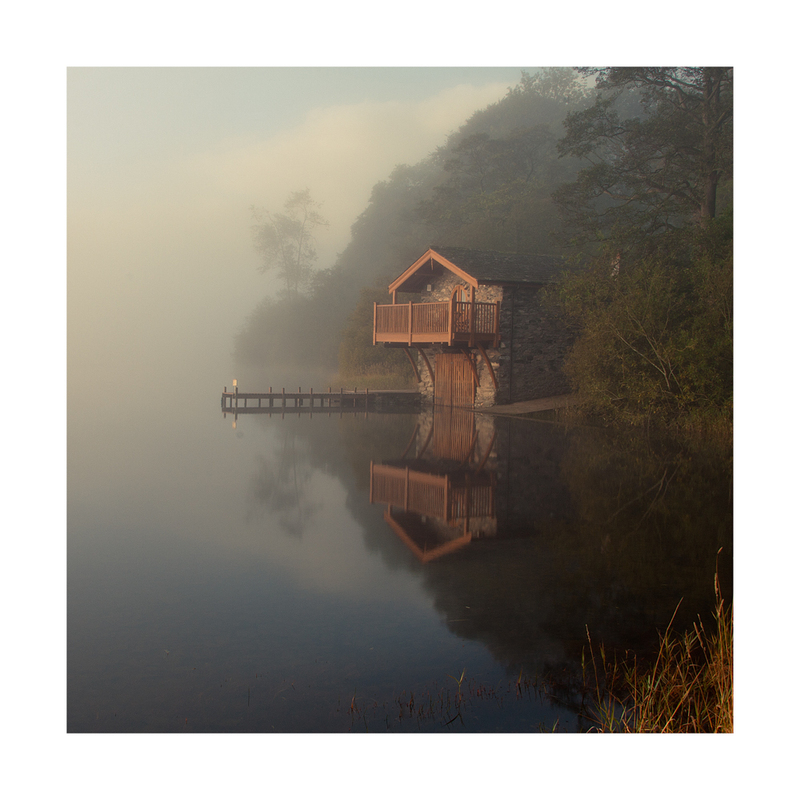 Duke of Portland’s Boat House on Ullswater in the Lake District of England. This was back in September 2010, when I first met Mark Littlejohn Photography, as he drove by complimenting me on getting the weather, drove off and then came walking back along the road camera and tripod in hand some minutes later. I’ve revisited the photograph and cropped it square, as is my “thing” just now and hopefully I’ve been less heavy handed with processing, though I have split toned it slightly. I’ve also been working through my back catalog of scanning. The image below taken of Liathach in Torridon, North West Scotland, was one that I wasn’t quite sure of at first. I thought it was a bit stark (for want of a better term) and cool, but there was always that nagging suspicion that there was more to this photograph and it eventually grew on me. 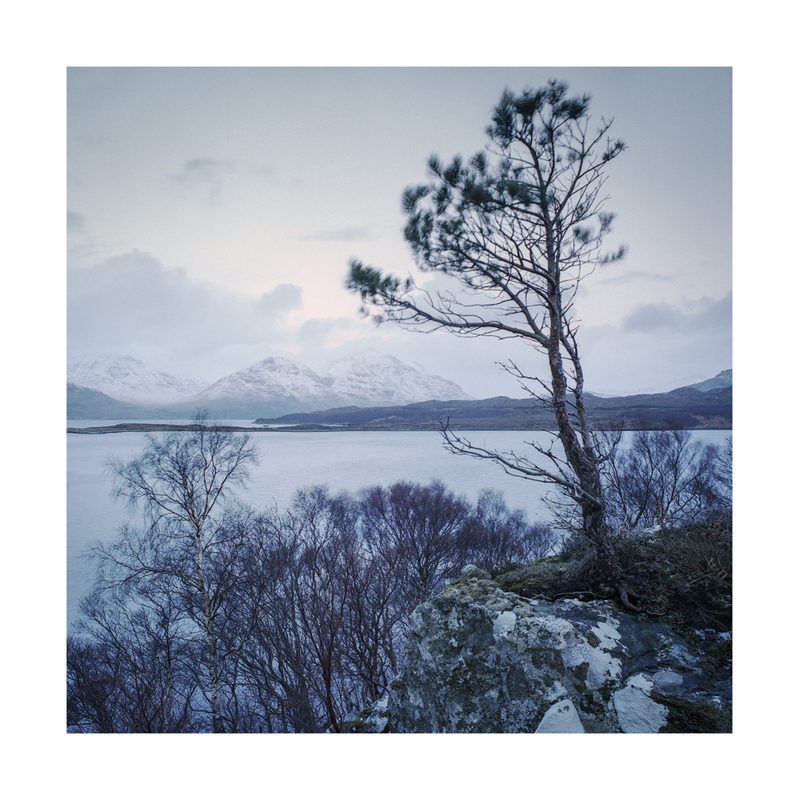 The tree had intrigued me for a week, as we visited this spot a couple of times, it was a solitary Scots Pine (only about 3 feet tall) amongst some light Silverbirch woodland, but I hadn’t found a composition that pleased me, until this shot. Interestingly, whilst I use film most of the time, I do still tend to take more than one shot of a scene (just in case!) before moving on. For this shot I took the one exposure and moved on. Despite the movement, it is a calming scene I feel, and its mood/feeling I would like to re-create in future photography. I love that shot and I think the movement in the tree makes the picture, it looks like you had a good time up there. I can’t wait to get up to Torridon, (hopefully this Autumn) but as is the way these days my other half has just been given notice that she is to be made redundant, so it might be a little longer than I hoped! However it will always be there, but hopefully she can get another job soon so I don’t have to wait too long! Hi Damien – sorry to hear about your wife’s work situation – fingers crossed she picks up something soon.